This limited edition handset has a price tag of around US$445 and, unfortunately, it seems that Xiaomi only plans to sell 100 units in China. Color aside, there are no changed specs. Xiaomi fans who wanted the Silver Edition of the Chinese brand's Mi 6 flagship will soon be able to get it. Unfortunately, it will only launch in China and the number of silver units available is expected to be very low - just one hundred, according to Xiaomi. 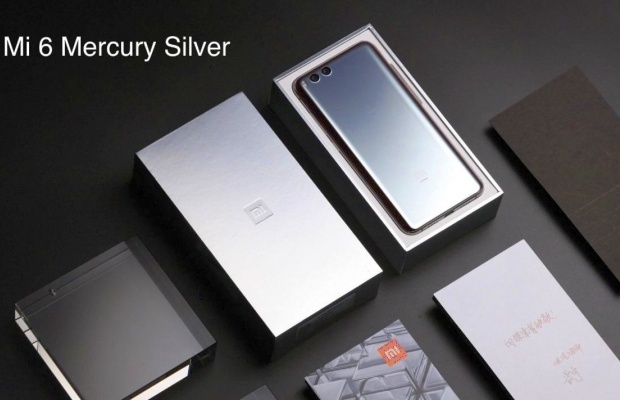 Xiaomi has just confirmed that the Mi 6 Mercury Silver Edition handset should hit the market soon, without mentioning a launch date. We can only hope that more batches arrive after depleting the first one, but that is not certain. The price mentioned is 3,999 RMB - around US$593. The specs of the Mi 6 Mercury Silver Edition remain the same as those of the standard edition - Qualcomm Snapdragon 835 processor, 5.15-inch full HD display, 6 GB RAM, 64 GB or 128 GB internal storage(the amount available for the limited edition has not been revealed), dual 12 MP camera setup on the back with 2X optical zoom, Android 7.1.1 Nougat with MIUI 8 on top, all driven by a 3,350 mAh battery.